The trucking industry plays an important role in Houston’s economy, but large trucks can also create dangerous situations on our roads. If you have been injured in a truck accident and are facing medical bills, job loss, vehicle repairs and other negative impacts, you need the skills of an experienced trailer accident lawyer by your side. Seek medical help immediately if necessary. Call the police to the scene of the accident. You should refrain from talking to any insurance company until you consult with a lawyer. Cooperate with law enforcement officials, but do not admit guilt, even if you feel responsible. 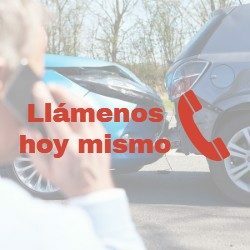 Write down any details regarding the accident that comes to mind, such as names of witnesses and contact information, exact location and details of the accident. Federal law stipulates that truck drivers must be CDL certified before they can drive a truck. Generally, they must have a minimum of 10 hours of rest after 14 hours of service, 11 total hours of driving time and 60-70 hours of service per week. Normally, the driver’s goal is to deliver their cargo to the customer as soon as possible, which could encourage some drivers not to follow the laws, to complete their work faster. Some drivers and trucking companies do not give priority to safety or give ongoing training which can be dangerous while on the road. If these or other tests show that the driver was not following federal or state laws, you have a better chance of winning your 18-wheeler accident case. In addition, these things must be reexamined once the driver arrives at his destination. If any of these components fail in the safety check, drivers must report them to their employer and refrain from driving the truck until repairs are made. Inspecting these parts after an accident can provide substantial evidence in your trailer accident claim. An early investigation into any trailer accident is critical to retrieving evidence and documenting details that could help establish the fault. Equally important is the investigation into compliance with federal regulations to ensure that the accident was properly handled. Your first priority should be to receive medical attention. If you are capable, you should be careful to record any details that may help in the investigation, even if you think it is not important at that time. Why Partner with an 18-Wheel Accident Lawyer? Truck accidents can pose a serious threat, both to the people involved and to nearby drivers. The size of an 18-wheeled vehicle makes it very likely that you will not get away from the accident without some type of serious injury, including death. Accidents involving 18-wheelers differ greatly from accidents involving passenger vehicles, which means that you may need more than a car accident lawyer to help you solve your case. Truck accident cases are often complicated, require the financial solidity of a reputable company, and are best handled by attorneys with experience in this field. How much does a Trailer Accident Lawyer cost? Our attorneys work on a contingency fee, which means that you only pay a percentage of your agreement if you win your case. If we do not win, you pay nothing – no legal fees and no expenses. My Truck Accident was months ago – can I file a claim? The statute of limitations in Texas is two years for a truck accident, which means that you have two years from the date of your accident to file your claim. I was offered an agreement by the insurance company, so do I need a lawyer? Insurance companies work to satisfy their own interests, not theirs. Even if you have been offered an agreement, you may be entitled to more than what was offered. Our expert lawyers help ensure that you are compensated fairly. If I believe that I am partially responsible for the truck accident, should I file a claim? You may still be entitled to compensation, depending on the degree of fault and other details of your case. This really depends on the basis of each case, and is determined by talking to a lawyer experienced in these types of cases. If you have been injured in a truck accident, you have enough to worry about. Let our attorneys help you get the compensation you deserve and handle the stressful aspects of your case, so you can focus on your physical and mental recovery. Contact us today to schedule your free consultation and start the path to financial compensation.